Home > Science & Nature > Geography > Oaxaca Mexico Landslide Pictures? A landslide in the Mexican state of Oaxaca left three hundred homes buried. Hundreds of people are missing and thousands are now homeless. The town of Santa Maria Tlahuitoltepec was buried by the landslide. Where can I see photos of the phenomenon in Oaxaca Mexico? Over a foot of rain has fallen on the Mexican state of Oaxaca in the past two weeks, causing local rivers to flood. That caused the landslide. 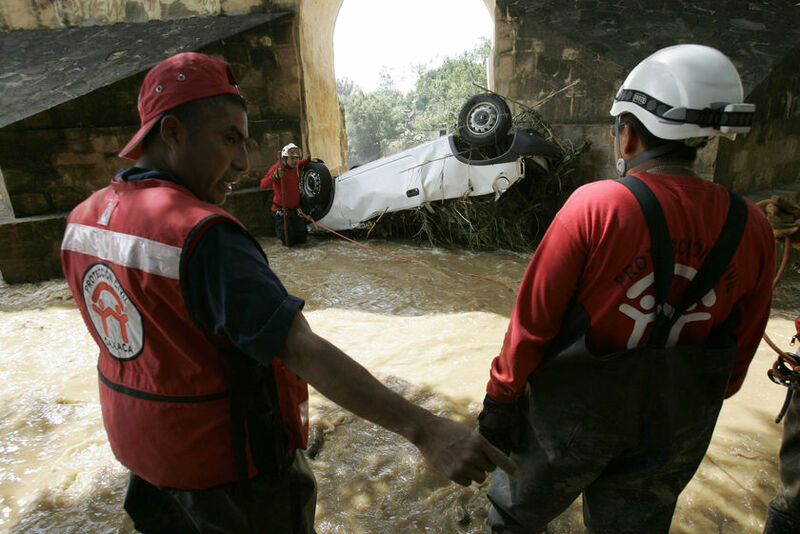 Civil protection authorities in Oaxaca said the landslide was due to heavy, prolonged rains from tropical storm Matthew, which dumped heavy rains on Central America and southern Mexico over the weekend. The landslide started around 4:00 am local time. Soldiers and rescue workers are being mobilized to the town. According to the state’s governor, up to 1,000 people could be trapped beneath mud and rocks in the village of the Santa María Tlahuitoltepec, where a rain-soaked hill collapsed early Tuesday. Some residents even used Twitter to broadcast their situation, as well as their frustration at the turn of events. Governor Ruiz told reporters he feared the death toll would rise, and that everything that could be done is being done. A Picture of the Oaxaca's landslide in Mexico. Similar Threads for: Oaxaca Mexico Landslide Pictures? Miss Mexico Jimena Navarrete Pictures? New Oil Spill in the Gulf of Mexico? US vs Mexico World Cup Qualifier - TV?